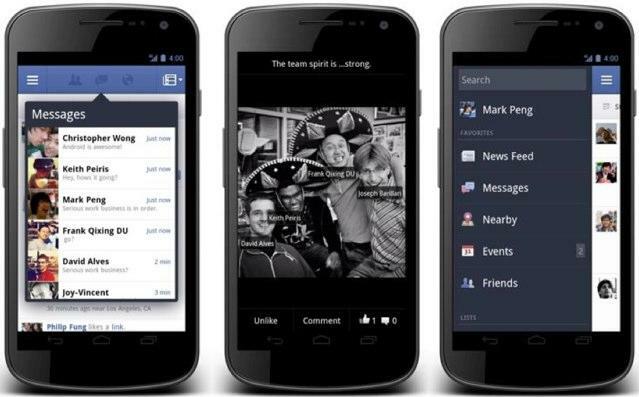 Want to try the latest Facebook features on your Android device at all times? The social network has the perfect platform for you, which it announced on Thursday. It's called the Facebook for Android Beta Testing Program and allows you to provide feedback on the latest releases, provided that you don't mind a few bugs here and there. "Facebook is the most-downloaded app in the Play Store, so we need to make sure it works for everyone, no matter their amount of RAM, network conditions, or version of Android they might be using," Facebook's Android product manager Ragavan Srinivasan explained in a blog post Thursday, noting that testing is of utmost importance before Facebook releases an app update. Google's new update to Play, which now lets developers to deploy applications to a subset of beta testers, allowed Facebook to launch its new program. "Beginning today, the Android beta program will give users who opt-in access to the latest versions of Facebook for Android before the general release," Srinivasan explained. "Anyone can join the beta program. When you join, you will get a small batch of fixes and new features every month. We ask that you use your app as you normally would, but submit a report when you encounter a bug or other issue. Because the beta build will have features that are still in progress, the app may be less stable than you're accustomed to. Feedback on stability, as well as any other performance issues you experience, is crucial and deeply appreciated." Facebook launched a Google Group for its beta testers to participate in, and anyone can sign-up for the beta program after joining the Google Group. Just head to Google Play and tap the button that asks you to participate. There's also a Facebook discussion for participants in the program. Srinivasan didn't say what we can expect in the coming releases, but we love knowing that there's now an opportunity to test new Facebook software earlier than the general public.